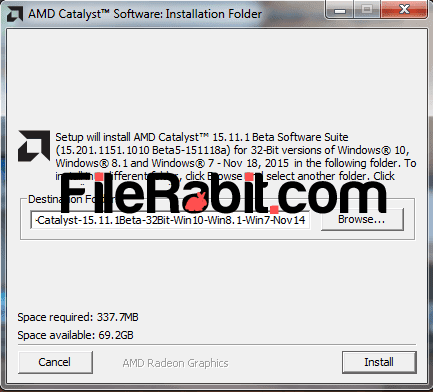 AMD Catalyst Driver software gives your PC high quality graphics with stunning effects. It can customize rotation, resolution and coloring preferences. Moreover, it allows configuration in different manner including Power, 3D, Display, Video and Profile management. Everything can be controlled through keyboard shortcuts, system tray icon and desktop program shortcut. 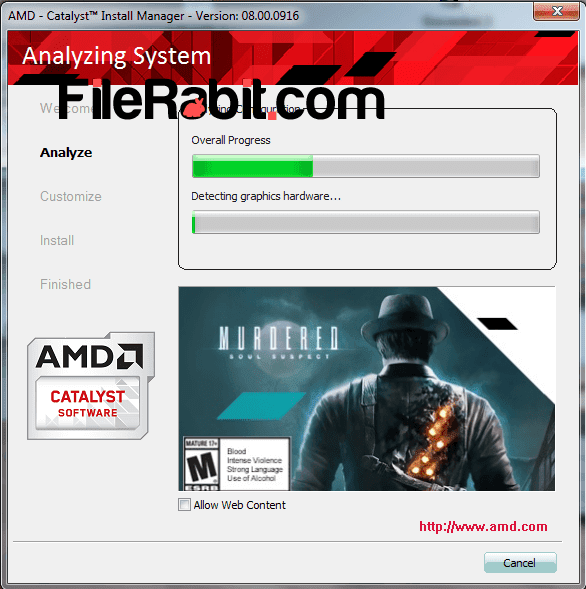 ATI Catalyst Drives was the previous name and after AMD purchased ATI, everything was renamed from ATI to AMD. However, the display drivers should increase system performance, speed, stability and acceleration in games. Play Matroska or Blu-Ray videos will need higher graphics performance. The driver software has rich files for booth audio and video configuration. It will boost hardware performance through adding DirectX components into system folders to optimize overall speed. These chips based systems facing some gameplay issues while playing Assassin Creed Syndicate, Call of Duty Black Ops III, Star Wars Battlefront and Fallout 4. Eyefinity technology introduced by AMD especially for gamers to deliver accurate pixel and frame rates with increase power in higher display resolutions. The AMD catalyst drivers current serving different hardware chips including Mobility, APU, All in One Desktop and Desktop product families. This driver package includes support for different chip series such as Nano, Fury, R5, HD, R9, R7, E-Series and A-Series. Furthermore, Godavari, Kaveri and Carrizo APU series support also available in catalyst drivers but it’s only for 64-bit (x64) environments.